Easter is fast approaching, and I thought it would be fun to dye eggs with my kids this year. 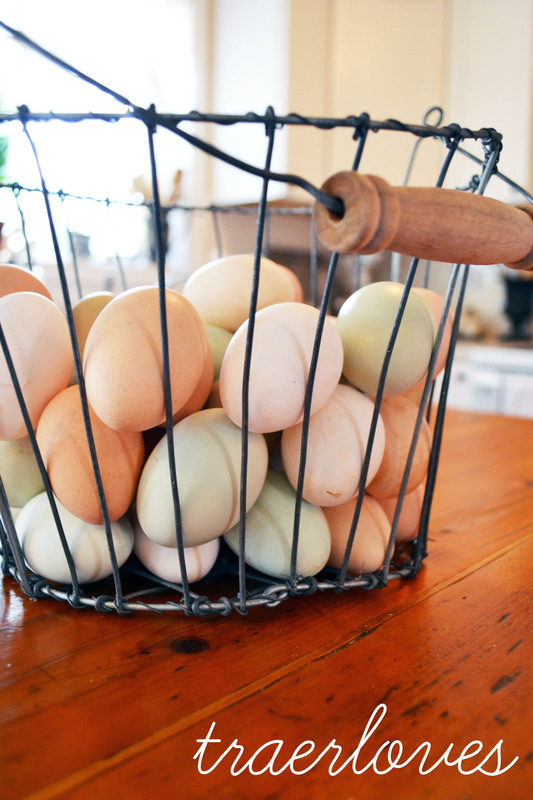 I happened upon a sweet young lady that was selling these beautiful eggs locally! They are almost too pretty to dye and really look lovely by themselves. I can’t wait to see what the dye does to the natural color of the eggs. I was thinking about using some natural dyes to see how they would work as well. But I really want to hear what your Easter traditions are. So send me your traditions, I would love to compile all of them and have a complete post before Easter. And if you are local and would like some of these beautiful eggs let me know, I can put you in contact with the local person selling them. Enjoy this blessed time of year and have a great weekend! P.S. I am heading down to Maryland in the morning for the second day of the Barn sale! Hopefully the weather will not be as yucky as it looks and it will be a great day! This entry was tagged crafts, easter, tradtions. Bookmark the permalink.